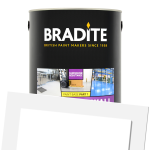 Bradite EW99 Heavy Duty Floor and Wall is a 2-pack, water-based coating with excellent resistance to heavy traffic and chemicals. 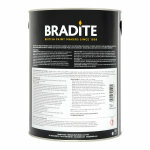 It is suitable for use on floors, walls and structural steel. It is low odour and recoatable in 14 hours. Coverage is up to 12m²/ per litre. Application is by brush, roller or spray. 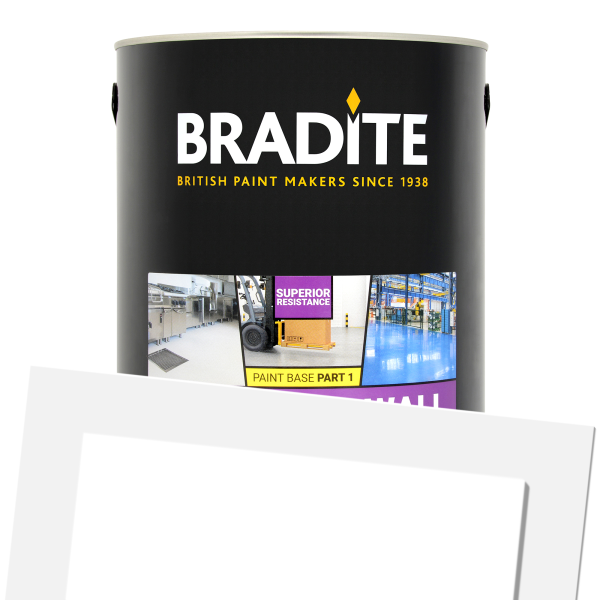 Bradite EW99 Heavy Duty Floor and Wall + Activator is available in 537 colours from the Bradite Colour Cards.